What a great week this has been. With already having experience with graphic software programs and studying graphic design at college, I knew that I wanted to be involved with a digital company. When researching work experience opportunities, Air Social really stood out to me. I was drawn into their creative and colourful website and friendly staff on the phone while organising an interview last November. I was full of nerves on my first day but that didn’t last for long as the staff were so welcoming and I quickly settled in. I had a ‘wow’ moment gazing around the stylish office which had such a professional layout. At that point, feeling so grown-up, I knew this would be a week full of learning and exploring new things. 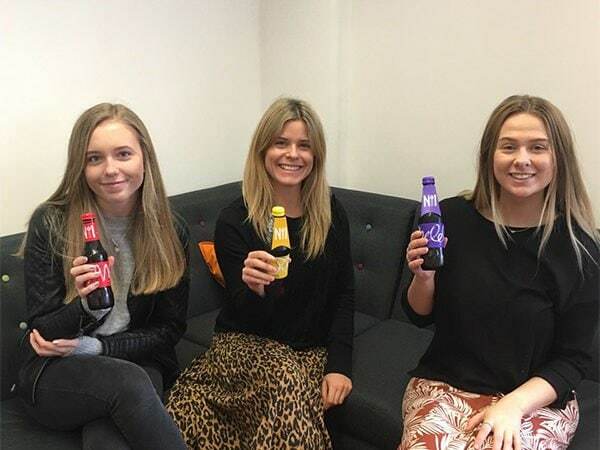 After meeting the team, and getting briefed about the company, Tilda (the Content Developer) and Emily (the Digital Executive) were very helpful and assisted me on my first mini project. During the week, I researched and created social media creatives on InDesign; a new software that I have never used before, and I helped to create an advertising poster project using Adobe Illustrator. Amy, the Creative Director, also set me a new task of designing business cards for Air Social featuring the new colours, logos, fonts and contact details from their new brand guidelines. She was always on hand to give advice which I found really helpful. My final task of the week was to create a roll-up banner for Air Social’s video backgrounds, in-keeping with their new brand guidelines. I have really enjoyed this week and have gained IT skills, experience working in an office and also made new friendships. I felt so comfortable in Air Social’s working environment and even had a couple of cups of tea which is new for me too! I would definitely recommend Air Social to anybody who has a passion for generating unique, creative ideas on a digital platform.